Department of Pharmacognosy 1, Pharmacy College, Karbala University, Karbala, Iraq. Agriculture College 2, University of Kerbala, Karbala. Iraq. ABSTRACT: Calotropis procera plant belongs to the Asclepiadaceae family. It is prescribed to treat bronchitis, asthma, cough, infections, cancer, ascites, intestinal worms, cutaneous diseases, eczema, leprosy and also aid to stimulate the immune system. The leaves of C. procera were investigated for their phytochemical and anti-microbial activity. Chemical screening of leaves ethanolic extract exhibited to contain active compounds like alkaloids, terpenoids, flavonoids, saponins, and reducing sugar. The antibacterial activity of C. procera leaves against four different bacteria revealed that the ethanolic extracts could kill only Staphylococcus aureus and Basillus subtilis, but more resisted by Pseudomonas sp., and Escherichia coli compare to the standard antibiotic streptomycin. GC-MS analysis of the ethanolic extracts indicated that the highest percentage in 100% ethanolic leaves extract belongs to camphene 6.22%, thebaine 7.59% dodecanoic acid 19.15%, and linolenic acid ethyl ester 14.87%, while the highest percentage in 70% ethanolic leaves extract belongs to hexa-hydro-farnesol 9.87%, gamolenic acid 12.71%, and linolenic acid ethyl ester 6.83%. This is the first phytochemical, and antibacterial study on C. procera leaves in Iraq. INTRODUCTION: Medicinal plants have no doubt remained the major sources of traditional medicine worldwide1. Today, many of the available drugs were derived from the medicinal plants which still till now the major source of drug 2. The plant is rich in many types of secondary metabolites, that found to have in-vitro anti-microbial properties 3, 4, 5. Because most plants have medicinal potency 6, recently their extracts have been developed and proposed for use in food as natural antimicrobials 7, 8. Some of the plant’s secondary metabolites have been used successfully for the prevention and treatment of many disease infections, cancer or aid to stimulate the immune system 9. These bioactivities are attributed to the presence of chemical components such as alkaloids, phenolic compounds, flavonoids, tannins and others 10, 11. 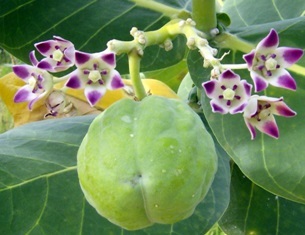 Calotropis procera was a xerophytic, evergreen, erect, perennial shrub, Fig. 1. It is a flowering plant known as Sodom apple or Arka. It is grown widely in the tropical and sub-tropical areas of Africa and Asia. This plant is popularly known because it produces a large quantity of latex 12, 13. Many parts of C. procera plant have been reported to possess anticancer 14, antimicrobial 15, anti-oxidant 16, anti-viral 17, anti-fungal 18, anti-inflammatory 19, 20, and wound healing 21, 22 and antiemetic properties 23, 24. In Northern Nigeria, the leaves of C. procera are used as a remedy for cough, asthma, etc. The powder of dried root used for asthma, bronchitis, eczema, leprosy and elephantiasis, splenic and hepatic enlargement 25. C. procera used to treat diarrhea, sinus fistula, rheumatoid/joints, stomatic, expectorant, jaundice, anthelmintic and skin disease 26. C. procera produces many bioactive constituents such as alkaloids. The alkaloids, calotropin, uskerin and calotaxein have been reported from C. procera, act as heart stimulant. It is also used to treat ringworms 27, 28. Based on the medicinal treatments and pharmacotherapeutic uses of C. procera, more phytochemical studies in different methods are needed to investigate the chemical components of this plant, therefore, this study was aimed to extract the leaves of C. procera growing in Iraq, using two different polarities of solvent extractor, and to identify the chemical components using GC-MS Technique. Also to study the antibacterial activity of leaves extract. This is the first study on the phytochemical and antimicrobial activity of the leaves of C. procera in Iraq. Plant Sample Preparation: Calotropis procera plant obtained from Kerbala City, Iraq. The sample was identified and authenticated by Pharmacognosy and the Medicinal Plant Department at College of Pharmacy-Al-Mustansiriyah University, Iraq. The plant leaves are collected, washed, and dried in Pharmacognosy Department at College of Pharmacy Kerbala University, Iraq. Solvents and Chemicals: Analytical grade, ethanol 99%, ethanol 70%, n-hexane, methanol, potassium mercuric iodide solution, bismuth subnitrate, glacial acetic acid, potassium iodide, ethyl acetate, chloroform, ferric chloride, sulphuric acid, ammonia, and hydrochloric acid were bought from Sigma-Aldrich. Extraction Method No. 1: One hundred gram of powdered C. procera leaves were macerated in 200 ml of n-hexane for 3 days then filtered. The leaves residue were re-extracted by Soxhlet with 600 ml of ethanol 95% for 10 h, then alcoholic extract cooled at room temperature and filtered, the clear filtrate is evaporated to dryness under reduced pressure by rotatory evaporator at temperature 40ºC to get 10.03 g (10.03%) ethanolic crude extract of C. procera leaves ETCP100 (10.03%) 29. Extraction Method No. 2: One hundred gram of powdered C. procera leaves were extracted under reflux for 10 h with 600 ml of 70% ethanol. The ethanolic extract was filtered, and the clear filtrate evaporated to dryness under reduced pressure by using a rotatory evaporator at temperature 40 ºC to yield hydro-ethanolic extract ETCP70 (7.4%) 30. A preliminary phytochemical investigation was done by alkaline reagent test for flavonoids, foam test for saponins, terpenoids test for terpenoids, Fehling’s reagent for reducing sugar and Dragendroff’s reagent for alkaloids as described literature 31, 32. Chemical Identification by GC-MS: Ethanolic extracts were analyzed using a GC (Agilent Technologies 7890A) interfaced with a Mass-selective detector (MSD, Agilent 7000) equipped with a polar Agilent HP-5ms (5%-phenyl methyl polysiloxane) capillary column (30 m × 0.25 mm i. d. and 0.25 μm film thickness). The carrier gas was helium with a linear velocity of 1 ml/min. The injector and detector temperatures were 200 ºC and 250 ºC, respectively. The volume injected 1 μl of the sample. The MS operating parameters were as follows: ionization potential 70 eV, interface temperature 250 ºC, and acquisition mass range 50-800. Antibacterial Activity: The antibacterial activity of ethanolic extracts ETCP70 and ETCP100 from C. procera leaves were investigated by the disc diffusion method (DD) and minimum inhibitory concentration (MIC). Four types of bacteria were used in this research, gram-positive bacteria which are Bacillus subtilis and Staphylococcus aureus, gram-negative bacteria which are Escherichia coli and Pseudomonas aeruginosa 33 were isolated and obtained from Al-Hussein Medical City at Karbala. Culture Media and Material: Generation of bacteria by culture media was achieved in sterilized nutrient broth (NB) at 37 °C for 16-18 HR. Nutrient broth (NB, 8 g/L), Muller-Hinton (MH, 20 g/L), was dissolved in distilled water. The glasses (pipettes, tubes, Z-rode, and beakers), filter paper discs (6 mm in diameter) and solution (NB, and MH) were sterilized in an autoclave for 2.5 h at 121°C. The concentrations of bacteria, cultures were prepared by comparing with a McFarland solution (9.95 ml of H2SO4 solution 1% in broth, and 0.05 ml of BaCl2 solution 1% in broth) equivalent to 150 × 106 colony-forming unit (CFU)/ml. Crude extracts (1800 μg/mL) were prepared by dissolving 3.6 mg in 0.5 ml DMSO. Disc Diffusion Method: The crude extracts were investigated for antibacterial activity by disc diffusion method according to published reports 34 with some modifications. First, the Petri dishes (90×15 mm) were spread with sterilized MH (17 ml) solutions, followed by 200 μl of bacteria stock (150×106 CFU/ml); each was spread on the Muller Hinton agar (MH) medium using Z-glass rod, after that, 2 paper discs were individually impregnated with 20 μl of extract (1800 μg/mL), 2 blank discs (with DMSO only), standard disc of streptomycin sulfate (10 μg/disc) for bacteria was placed and arranged on MH petri dish. Finally 37 °C for 24 h.
Determination of Minimum Inhibitory Concentration (MIC): Minimum inhibitory concentration (MIC) for samples was achieved in the 96-well plate. First samples (14.4 mg) were dissolved in 2.0 ml of DMSO. The concentration of stock solution 1800 μg/mL was gradually diluted twofold to get concentration for each sample in the range of 14.07-1800 μg/mL, and then 96-wells were impregnated with 100 μl of an organism and were covered for incubation overnight at 37 °C. All samples were assessed in duplicates 35. RESULTS: The results showed that the percentage yield of crude extracts from the extraction of C. procera leaves by method no.1 was 10.03% higher than that obtained from extraction by method no. 2 which yielded percentage yield 7.4%. The preliminary phytochemical investigation revealed the presence of alkaloids, saponins, flavonoids, terpenoids, and reducing sugar in the plant leaves, but in different concentrations, as shown in Table 1. The analysis of both methods that occur by using GC-MS technique, displayed about thirty-five different compounds in the C. procera leaves crude extract depending on the extraction method as shown in Fig. 2-3 and recorded in Table 2. Data represent: mean + standard deviation of duplicated experiments. DD = disc diffusion, mm= millimeter; 6.0 ± 0 = no activity. DISCUSSION: The results showed that the best extraction method for C. procera leaves was in method no.1 which gives percentage yield 10.03% of ETCP100 extract, while method no. 2 was 7.4% of ETCP70 extract. This difference due to the extraction method, and polarity of the solvent extractors. The phytochemical investigation using chemical reagents exhibited that C. procera leaves contain many active compounds like alkaloids, flavonoids, saponins, terpenoids, and reducing sugar. The chemical components of the ethanolic extract of the leaves of C. procera which identified by GC-MS are tabulated in Table 3. The 70% and 100% ethanolic extracts consisted mainly from thirty-five compounds ranging from terpenes, fatty acids, essential oils, an aldosterone antagonist, steroids, alkaloids, phenolic compounds, esters, vitamins, coumarins, and others. The predominant constituents were 1-Eicosene, 4-Hydroxy-β-ionone, phytol, Citronellol, n-hexadecanoic acid, octadecanoic acid, dodecanoic acid, methyl arachidonate, hexa-hydro-farnesol, (+)-α-Tocopherol, gamolenic acid, linolenic acid ethyl ester, thebaine, colchicine, nonadecanol, camphene, coniferol, tetrahydro-spirilloxanthin, pipradol, pseudojervine, and zearalenone. Most of the compounds are alkaloids according to their structures and that what appear in the phytochemical study as shown in Fig. 4. The highest percent in 100% ethanolic leaves extract belongs to camphene 6.22%, thebaine 7.59%, dodecanoic acid 19.15%, and linolenic acid ethyl ester 14.87%, while the highest percent in 70% ethanolic leaves extract belongs to hexa-hydro-farnesol 9.87%, gamolenic acid 12.71%, and linolenic acid ethyl ester 6.83%. The differences in these percent explained by the rule of like dissolve like, the more polar compound appears in 70% ethanol and vice versa. The ethanolic extracts of leaves were examined for antibacterial activity against S. aureus, E. coli, B. subtilis and Pseudomonas species which determined by using disc diffusion method 36 and minimum inhibition concentration (MIC). The results of disc diffusion method revealed that ethanol 70% was the best solvent for the antibacterial properties of leaves of C. procera because it gave the widest zone of inhibition with gram-positive bacteria 18 ± 1.4 mm against Staphylococcus aureus and 17 ± 0.0 mm against Basillus subtilis as shown in Table 3. Base on the results of disc diffusion method, only bacteria S. aureus and B. subtilis were submitted to MIC method, and the results showed strong inhibitory towards Staphylococcus aureus (250 µg/mL) and against Bacillus subtilis (31.25 µg/mL) as shown in Table 4. The antibacterial activity was reported due to the presence of alkaloids, flavonoids, saponins, terpenoids, and reducing sugar and other active compounds. 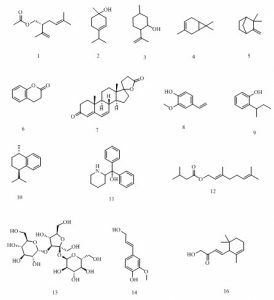 CONCLUSION: The phytochemical screening indicated that alkaloids and phenolic compounds were present in large quantities. The leaves of C. procera can be useful for the treatment of cancer due to the antioxidant activity of phenolic compounds. Isolation and identification of active compounds are important to discover new drug from this plant because little articles appear on this side. Further research is required for these parts of the plant in Iraq. ACKNOWLEDGEMENT: The authors would like to give great thanks to Dr. Salam A. Abed, and Pharmacognosy Department, College of Pharmacy, Kerbala University, Iraq to facilitate research requirements and Dr. Ibrahim S. Abbas at College of Pharmacy/Al-Mustansiriyah University, Iraq for identification of the plant specimen. Sameeh MY and Mohamed AA: Characterization of polyphenols by HPLC, their antioxidant and GC-MS analysis of wild Calotropis procera leaves and fruit extracts. International Journal of Chem Tech Research 2018; 11(01): 319-327. Verma R, Satsangi GP and Shrivastava JN: Analysis of phytochemical constituents of the ethanolic and chloroform extracts of Calotropis procera using Gas Chromatography-Mass Spectroscopy (GC-MS) Technique. J of Medicinal Plants Research 2013; 7(40): 2986-2991. Parihar G and Balekar N: Calotropis procera: A phyto-chemical and pharmacological review. TJPS 2016; 40(3): 115-131. Awaad AA, Alkanhal HF and El-Meligy RM: Anti-ulcerative colitis activity of Calotropis procera Linn. Saudi Pharmaceutical Journal 2017; 26 (2018): 75-78. Garba S and Okeniyi SO: Antimicrobial activities of total alkaloids extracted from some Nigerian medicinal plants. Journal of Microbiology and Antimicrobials 2012; 4(3): 60-63. Gomez-Flores R, Verástegui-Rodríguez L and Quintanilla-Licea: In-vitro rat lymphocyte proliferation induced by Ocinum basilicum, Persea americana, Plantago virginica, and Rosa spp. extract. Journal of Medicinal Plants Research 2008; 2(1): 005-010. Oyesola AO, Coolborn AF and Kolawole OM: Anti-microbial and phytochemical evaluation of Calotropis procera (“Sodom Apple”) against human pathogens. British Microbiology Research Journal 2016; 11(3): 1-11. Shobowale OO, Ogbulie NJ and Itoandon EE: Phyto-chemical and antimicrobial evaluation of aqueous and organic extracts of Calotropis procera Ait leaf and latex. Official Journal of Nigerian Institute of Food Science and Technology 2013; 31(1): 77-82. Akinmoladun AC, Ibukun EO and Afor E: Phytochemical constituent and antioxidant activity of extract from leaves of gratissimum. Sci Res Essay 2007; 2: 163-166. Okwu DE: Evaluation of the chemical composition of medicinal plant belonging to Euphorbiaceae. Pak Vet S 2001; 14: 160. 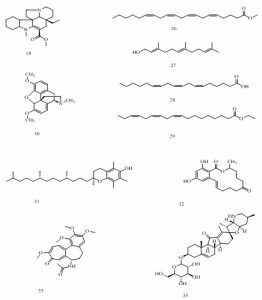 Edeoga HO, Okwu DE and Mbaebie BO: Phytochemical constituents of some Nigeria medicinal plants. African Journal of Biotechnology 2005; 4(7): 685-688. Sharma AK, Kharb R and Kaur R: Pharmacognostical aspects of Calotropis procera (Ait.) R. Br. 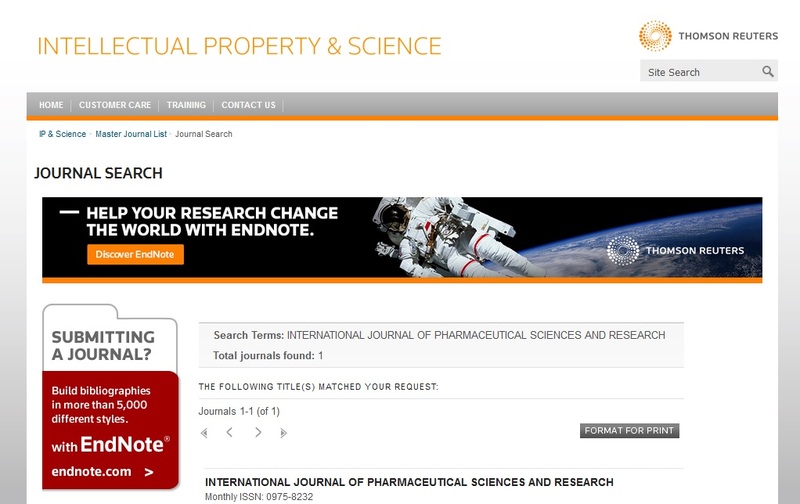 International Journal of Pharma and Bio Sciences 2011; 2(3): 480-488. Shrivastava A, Singh S and Singh S: Phytochemical investigation of different plant parts of Calotropis procera. 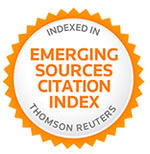 International Journal of Scientific and Research Publications 2013; 3(8): 1-4. Silva MCC, Silva AB and Teixeira FM: Therapeutic and biological activities of Calotropis procera (Ait.) R. Br. Asian Pac J Trop Med 2010; 3: 332-336. Ishnava KB, Chauhan JB and Garg AA: Antibacterial and phytochemical studies on Calotropis gigantia (L.) R. Br. latex against selected carcinogenic bacteria. Saudi J Biol Sci 2012; 19(1): 87-91. MstNazma Y, Sarder NU, Sanzida M and Muhammad AA: Antioxidant and antibacterial activities of Calotropis procera American-Eurasian J Agr & Environ Sci 2008; 4(5): 550-553. Oliveira JS, Costa-Lotufo LV and Bezerra: In-vivo growth inhibition of sarcoma 180 by latex proteins from procera. 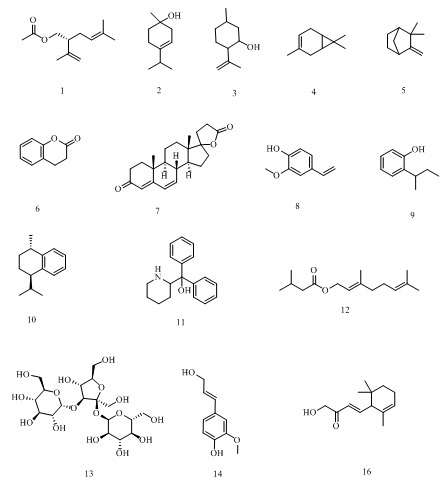 Naunyn Schmiedebergs Arch Pharmacol 2010; 382: 139-149. DeFreitas CDT, Sousa Nogueira FC and Vasconcelos IM: Osmotin purified from the latex of Calotropis procera: Biochemical characterization, biological activity and role in plant defense. Plant Phys Biochem 2011; 49: 738-743. Kumar VL, Chaudhary P and Ramos MV: Protective effect of proteins derived from the latex of Calotropis procera against inflammatory hyperalgesia in mono-arthritic rats. Phytother Res 2011; 25(9): 1336-41. Soneera A and Vijay LK: Anti-inflammatory efficacy of extracts of latex of Calotropis procera against different mediators of inflammation. Mediators of Inflammation 2005; 4: 228-232. Yesmin MN, Uddin NS and Sanzida M: Antioxidant and antibacterial activities of Calotropis procera. American-Eurasian J Agric and Environ Sci 2008; 4(5): 550-553. Ramar PS and Chow VTK: Pilot study about the wound healing activity of protein from Calotropis procera (Ait.) R. Br. Evidence-Based Complementary and Alternative Medicine 2012; 2012: 1-11. Njama D: Trees and shrubs of East Africa. 2009; 207. Farouk AEA, Ahamed NT and Zahrani OA: Antimicrobial activities evaluation from the extracts of leaves, flowers, fruits and latex of Calotropis procera from Taif. International Journal of Current Microbiology and Applied Sciences 2016; 5(11): 240-256. Oke OA, Afolayan AJ and Oyedeji AO: Validation of antibacterial potentials of Anacardium occidentale and Calotropis procera commonly used against cough symptoms. Journal of Research and Review in Science 2004; 3: 56-60. Rajesh K, Priyadharshni SPP and Kumar KE: Phyto-chemical investigation on stem of Calotropis procera (Ait.) R.Br. (Asclepiadaceae). IOSR Journal of Pharmacy and Biological Sciences 2014; 9(3): 25-29. Kuta FA: Antifungal effects of procera stem back on Epidermophyton flocosum and Trichophyton gypseum. African Journal of Biotechnology 2008; (13): 2116-2118. Mainasara MM, Aliero BL and Aliero AA: Phytochemical and antibacterial properties of root and leaf extracts of Calotropis procera. Nigerian Journal of Basic and Applied Science 2012; 20(1): 1-6. Sultana S, Khan A and Islam F: Antimicrobial and phyto-chemical screening of an ethanolic extract of the stem bark of Calotropis procera (Ait.) R. Br. by GC-MS. IJPPR Human 2016; 7(3): 30-40. Joshi A, Singh N and Pathak AK: Phytochemistry and evaluation of antioxidant activity of whole plant of Calotropis gigantea International Journal of Research in Ayurveda & Pharmacy 2010; 1(1): 120-125. Richa, Kaur H and Sharma S: Phytochemical investigations and anatomical study of two species of Calotropis from Chandigarh. IJPSR 2015; 6(4): 1452-1459. Kashamar AM, Naser EH and Almaali HAA: Clinical study of three medicinal plants ( vulgare, Zea mays and Petroselinum sativum) against urinary tract infection and stones. J Pharm Sci & Res 2018; 10(4): 755-758. Dafale NA, Semwal UP and Agarwal PK: Development and validation of microbial bioassay for quantification of Levofloxacin in pharmaceutical preparations. Journal of Pharmaceutical Analysis 2015; 5(1): 18-26. Magina MD, Dalmarco EM and Wisniewski AJ: Chemical composition and antibacterial activity of essential oils of Eugenia species. J Nat Med 2009; 63(3): 345-50. Abed SA, Sirat HM, and Taher M: Total phenolic, antioxidant, antimicrobial activities and toxicity study of Gynotroches axillaris Blume (Rhizophoraceae). Excli Journal 2013; 12: 404-412. Kareem SO, Apkan I and Ojo OP: Antimicrobial activities of Calotropis procera on selected pathogenic micro-organisms. Africa J of Biomed Res 2008; 02: 105-110. Naser EH, Kashmer AM and Abed SA: Antibacterial activity and phytochemical investigation of leaves of Calotropis procera plant in Iraq by GC-MS. Int J Pharm Sci & Res 2019; 10(4): 1988-94. doi: 10.13040/IJPSR.0975-8232.10(4).1988-94.